This is the first in a series of teardowns, where we put a homepage under the microscope to look at what they’re doing well or what could be improved. Our targets of choice? SaaS sites. They’re big businesses in a competitive market, which means they’ve got the resources to have best-in-business working for them, and plenty of ability to test ideas and variations (well, we’d like to think they do). From their tinkering, we can learn a lot of useful things. That said, no page is perfect, as you’ll see… but let’s get the ball rolling with SurveyMonkey. Update 20 May 2018: As they do, SurveyMonkey has switched things up and gone with a new, much richer homepage design. However, I’m going to run with my teardown of their more minimalistic style that was in use at 11 May 2018. 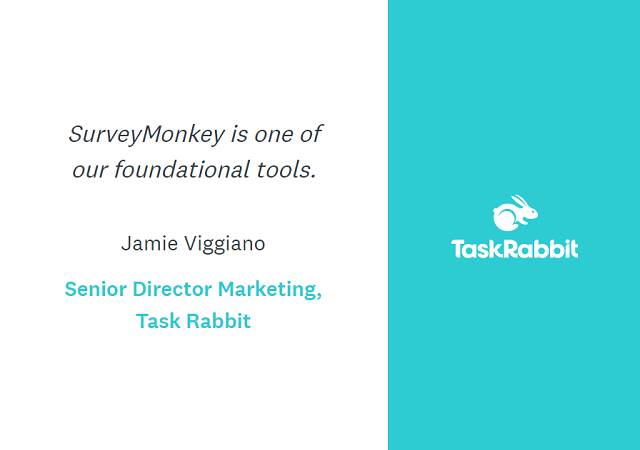 SurveyMonkey are the folks behind the “world’s leading survey software”. They’re a well-known name and a giant in the survey space, so I’m sure they’ve spent considerable time optimising their site. But even with that, I wasn’t quite expecting their homepage to look as it did when I arrived there. There’s not a whole lot to the SurveyMonkey homepage. The only images are logos and a couple of icons, there’s not much copy, and the page length is on the shorter side. There just isn’t a whole lot there. That might be for a good reason, so let’s dig in. So, with SurveyMonkey, you “Get the answers you need”. That’s a pretty good headline. It starts with a verb (i.e. action-oriented) and gives you a reason to be interested, so it passes the “so what?” test that Copyhackers founder Jo Wiebe likes to apply. As a side not, it’s relatively short length is neither a good or bad thing. But one thing it isn’t is a value prop or headline that tells you much about the site/business/solution, so it needs a great subhead. Thankfully, it gets one. The subhead is the perfect supporter for a catchy but somewhat vague headline. Starting with a big number that screams social proof (“16 million questions daily”), then echoing the headline before clarifying SurveyMonkey is the “world’s leading survey software”, the subhead both claims and clarifies in a couple of sentences. The homepage tone is set early, with an uncluttered and almost minimalistic approach. There’s the headline & subhead, two loud-and-clear CTA buttons and a sticky navigation bar with just the three buttons displayed. There’s no image. No video. No sign up form. Again, this isn’t necessarily a bad thing. They answer the “what we do for you” question immediately and limit themselves to one key message – something a lot of other sites with impressive imagery or kick-arse videos fail to do. With such a deviation from the norm, it’s fairly safe to say they’ve tested this. The Wayback Machine shows a much longer homepage, replete with images, as recently as January 2018. This appears a stripped down version of that, so the minimalism may be the result of recent testing. The collapsible feature hides a long and unwieldy menu, giving the menu bar an “in theme” minimal look of just three buttons. The menu options themselves are clearly worded, though the “Resources” seems a little unusual to me (it almost feels like a “Miscellaneous” group to me, but I guess those links have to go somewhere). Otherwise, it pretty much ticks all the boxes. The top nav bar stays visible as you scroll down, a fundamental feature of most sites these days. I have to credit them with a nice touch: the “Sign Up” button in the nav bar is a simple white-with-black border while you’re on the Hero, but then morphs into a highly contrasting & more visible orange as you scroll down the page. As the saying goes when it comes to your call to action, “front and bold never grows old”*. And the SurveyMonkey homepage gives you a choice of two in highly contrasting colours (remember: always, always contrast your CTA buttons if you have more than one to avoid visitors getting confused). My first question: does it make sense to have two CTAs? Probably, as the homepage is likely getting traffic in different stages of awareness. People who are new to SurveyMonkey will want to try before they buy, while those ready to go “pro” won’t want to mess around looking where to upgrade. “Sign Up Free” is reasonably clear, speaks to the free option and is safe language a lot of sites use. My only nit-picky question is: could it speak more to the value? Would “Get Answers for Free” or something similar perform better? “Pro Sign Up” also doesn’t tell me a lot. I’m guessing “Pro” = paid (and a quick click confirms this). Again, it could be a little clearer or better express the value of upgrading. Proof. That’s what much of this page is about. From the “16 million questions” in the subhead to the testimonials to the logos, there’s a lot of proof on this page. Does that indicate a lot of visitors in lower stages of awareness are landing here? Not necessarily: there’s practically no educational or clarifying copy around what SurveyMonkey is. It’s more likely the page is set up for Solution or Product-Aware visitors – that is, they know something about survey software (and have heard of SurveyMonkey), so don’t need to be shown what it does. It’s interesting to note the older homepage did list features, but they’re no longer part of the page. On a more specific level, you don’t get much more powerful proof when it comes to headlines than “Join the 100% of Fortune 500 companies who rely on SurveyMonkey…”. That’s super-impressive! The claim is backed up by a number of testimonials below, then a series of floating logos underneath those. The logos feel a bit weird sitting there unaccompanied by anything else: maybe it’d be worth adding a subhead or sentence to say “Hey, these mega companies all love SurveyMonkey too!”. The “Aren’t you curious?” headline and CTA at the bottom of the page is indeed curious. I’m not sure what to make of it. Is this the reason the page has been stripped of any educating copy – to foster a curiosity-inducing air? The Free Sign Up button is the sole CTA down here, which makes sense. People wanting the paid version are most likely existing users of the free version that don’t need to read the homepage: they know what they want, and what they want requires just a click of the “Pro Sign Up” button. The SurveyMonkey homepage is an interesting case of “less might be more”. Packing in proof and little else is an angle I haven’t seen on many other sites, but it appears a deliberate move based on the changes earlier in the year. Is it working? 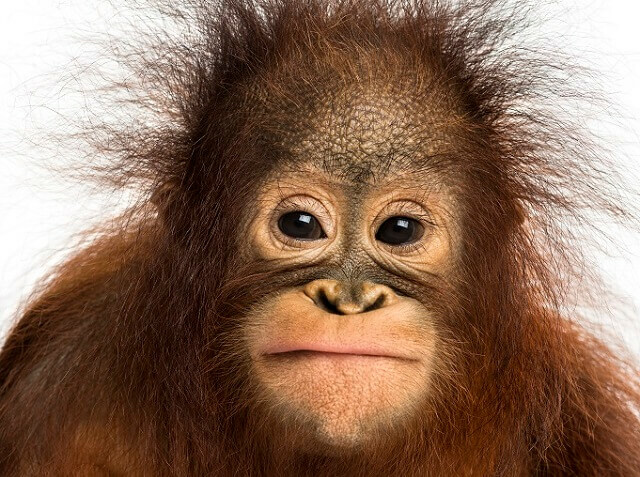 We can’t be sure, but we’ll keep an eye on things to see if and when the Mega-Monkey of Surveys changes its spots (mixed animal metaphor intended). * Actually, I’ve never heard anyone say that, but maybe it’ll catch on.